The owner of this website, breadmachinereviewspot.com, is a participant in the Amazon Services LLC Associates Program, an affiliate advertising program designed to provide a means for sites to earn advertising fees by advertising and linking to Amazon properties including, but not limited to, amazon.com, endless.com, myhabit.com, smallparts.com, or amazonwireless.com. Breville are a popular bread machine manufacturer and the UK’s favorite and the leading manufacturer of small kitchen appliances in the UK. In fact not a huge amount of the Breville bread machines are easy to get hold of in the USA, compared to the UK where there are a lot of these models on the market, Bread makers aren’t their number one selling item but certainly make up a fair chunk of their sales, and the Breville machines stand up next to the other models available. Automatic fruit and nut dispenser to incorporate added ingredients at the perfect time for the perfect loaf. Unique collapsible kneading paddle which mixes together the ingredients and collapses before the bake phase to minimize the holes at the base. Loaf sizes all the way up to 2.5 lb, most machines only offer up to around 2 lbs. An amazing 46 step by step recipes for the most possible variation in your loaves. This bread maker has it all, claiming to be the most intelligent model ever made. Extremely sophisticated when compared to most of the market and even though it costs a fair bit, this is a purchase that wont be regretted. The best selling model in Breville’s homeland, the UK. This machine is a little cheaper than the above, but it is again extremely sophisticated, retailing at around £100 which is roughly $150. Futuristic silicon handles to avoid burns when removing your loaf, 13 programmes in built with their very own ‘homemade’ option, allowing you to program your own recipes to ensure the loaf you love whenever you want. Comes with two paddles for the best kneading possible, 3 different loaf sizes up to 1.5 kg and a 13 hour timer to allow for fresh bread whenever you want it, come back from work or wake up in the morning to the smell of freshly baked bread. This, as well as the rest of the Breville range, is a very easy to use and hi tech machine that offers the perfect loaf every time. 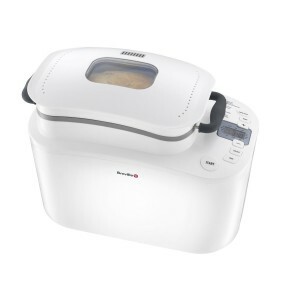 Bread Maker Prices – How Much is a Bread Maker? Bread makers aren’t the cheapest item you can buy for your kitchen, and as with any appliance the price you can pay for your bread machine might well vary quite a lot from the cheapest model on the market to the most expensive. This post has been created as a guide to the prices of bread machines and makers and how much you should be paying for the best fresh loaf in the comfort of your own home. There are always going to be a few models on the market designed for those of us shopping on a budget, the lowest end of bread maker prices offers some decent options with good loaves available at around the $100 mark down to $50 at the absolute cheapest. Don’t expect a bread maker you buy for this kind of price to be all singing and dancing, but it certainly will do the job, and lets not forget that if you’re spending a lot of money on supermarket and bakery bread then you might well be saving money by buying a bread machine and using your own ingredients to home bake your bread. This Oster Bread Machine has many abilities you would probably expect to pay a lot more money for, and is available at a bargain price (at the time of writing it is around $70 on Amazon!) With up to a 2 lb capacity this can even feed large families and definitely gets the seal of approval on our bread machine reviews site. The Mid-Range of bread machines offering more features than the absolute basic but still not the most amazing bread maker will probably cost between $100 and $175 – for this, expect to get more in the way of settings and options to add more interest and convenience to your bread baking experience, but don’t expect to get a machine that offers to do your laundry as well as cook your bread. We’re talking the best of the best on the market at around $175+ up to roughly $300 (you don’t see a great deal of bread makers over the 300 buck mark). These should definitely be of an extreme high quality and if you’re parting with this sort of cash you should expect an awful lot of features. The Zojirushi virtuoso. A bread machine to make your jaw drop. Offers twin kneading blades, a quick bake cycle, loads of options for different kinds of breads, additional heater for browning your crust and loads of different modes for cooking jams and other baked goods too. You’ll even get the exceptional build quality of the Zojirushi brand. Low Carb diets are extremely popular in this day and age, whether you’re trying to shake off a few pounds or it is doctor advised. Traditionally, bread is very high in carbohydrates and quite starchy, which makes it pretty bad for a diet of this nature, fortunately you don’t have to use your bread machine to make a carb-packed loaf, you can suit your eating habits with the best low carb bread machine recipes as discussed in this article. This has been designed for those of us making larger loaves (2 lb) but can be adapted to the smaller settings on your bread machine too. Depending largely on your bread machine, simply choose the most suitable setting, combine the ingredients and hit go! If you have one of the better bread makers this will be a really simple process. If you have a crust setting I’d suggest putting it on light for the best taste, though this is of course down to preference. Cooking outside of a bread machine? Add the ingredients in the following order; Water – Eggs – Marge – Sweetener – Flax Seeds – Vital Wheat Gluten and don’t forget to make a well for your yeast before adding it. As with a lot of breads there is a lot you can do to add variation, try adding some granary seeds for an interesting flavor and texture or go more adventurous with some jalapenos for a bit of spice. The make of Bread machine I recommend for this particular type of bread is the Zojirushi, they’re so versatile and have a couple of settings that will bake this bread perfectly, plus a lot of their models have those really clever “fruit and nut compartments” so you can add interesting extras to your bread. Well it wont send your blood sugars through the roof for one, which is good not only for diabetics or people with other ailments but for everyone. Many people have also had great success with low carb diets so this can be a way to aid your weight loss without having to give up the bread we all crave! As you probably already know, buying a bread machine can be a difficult business, and knowing where to invest your hard earned cash in order to end up with the best loaf isn’t easy, fortunately online retailers such as Amazon usually provide a rating system, which we have delved into and explored so that you don’t have to. Here, we list the top rated bread machines based on their rating systems (Amazon’s 5 stars etc.) So you can get some idea of the most popular and well received makers on the market today. The West Bend that makes the list is one straight from the cheaper end of the market, but clearly represents good value for money with a near top rating online, this machine is retailing at around $80 at the time of writing and is described as versatile, high quality and of course excellent value for money. Features include 12 bread modes, timer function for fresh bread whenever you want it and crust selection. Nothing particularly outlandish about this machine but a good quality loaf every time and a simple to use interface. I have already reviewed the SD-YD250 here on the site, it is a high quality bread machine and one of the most talked about models on the market. It stands to reason as this excellent machine with tons of features is one of Amazon’s best sellers, and highest rating machines. Features include settings for a large variety of breads, recipe book for 40 different loaves, three different sizes available to the user and a delay timer for the perfect meal timing. It is a little more expensive than the previous model but it does still represent value as it has a huge amount of features and is extremely well reviewed. This is a cross between gadget and bread machine! A mini maker made by Zojirushi to add to their extensive and brilliant range. At the time of writing it is amazon’s top rated bread machine and it also does a whole range of other stuff including helping you making jams, breads (of course), cakes and other types of dough. It only makes up to a 1 lb loaf, as you may expect from a mini machine. It may seem a little on the expensive side considering the size but its extra features more than make up for that! A top machine from the ever reliable Zojirushi. The Expressbake from Oster is probably one of the greatest bread machines purely based on the ease of use! It makes bread in no time and has 9 modes as well as three crust types, not to mention it even bakes up to a two pound loaf which means bread for all the family, not bad for one of the cheapest models of bread machine mentioned here on the site. It is programmable and has a super easy LCD screen to make things even easier. This truly is a highly recommended machine with ratings from consumers to match. I give the Oster a 10/10. Gluten restricted diets shouldn’t mean you can’t enjoy beautiful bread straight out of the bread machine, and fortunately bread maker manufacturers have tagged on to this and made machines either specifically for, or with a capacity for, gluten free bread. We’re going to talk about the best gluten free bread machine models here. What to consider when buying? The process of mixing a gluten free bread will be very different, and more difficult than a bread containing gluten, which will be far more elastic and easy to mix, and can be handled with a single paddle. Sometimes a single paddle will be enough for your recipe and depending on the build quality it might be designed with gluten free in mind, but in general the double paddled models of Bread makers will do a thorough job in the mixing process and provide the best loaf. Lots of bread machines now come with the ability to customize the cycles, and as your bread recipes will vary from loaf to loaf you may well be looking for more control, as well as knowing the differences in the texture, consistency and cooking time in your recipes. A custom cycle will be immensely helpful when picking your bread machine. Other, gluten-containing breads will rise a few times in the process, but the bread we’re going to be making only needs to rise once. This means that a Gluten cycle on the machine will account for this in terms of the time needed, and so should you if you are creating custom cycles or baking your own bread recipes. This Cuisinart model is exceptional for the price and although only single paddle, it is a quality maker for those looking to bake bread with no gluten. Their gluten mode is one of the key features and selling points of this appliance, their product description reads; “One in approximately 100 people has an allergy or sensitivity to gluten. Since gluten is found in most flours used in traditional bread making, the ingredients to create gluten free breads are unique. While they are “yeast breads”, the doughs are generally wet and have a batter-like consistency. It is also important not over-mix or over-knead gluten free doughs. There is only one rise, and due to the high moisture content, baking time is increased. Mix-ins must be added at the very beginning of the cycle with other basic ingredients.” Which shows you how excellently this machine caters for those of us with sensitivities or allergies. The other model I recommend quite strongly is the Zojirushi BBCCX20 – a brilliant, deluxe bread machine with loads of great features, this also has a great gluten free mode and caters for your needs as an allergy sufferer excellently. The advantage this has over the model already mentioned is that the machine has two paddles which will greatly improve the mixing process that single paddles can often struggle with. Check out my recommended gluten free bread recipes here. Today I’m going to focus on the Breadman manufacturer and their wide range of bread machines, reviewing their numerous models and the capabilities of them as well as the brand and make as a whole. The TR520 has 8 modes of bread making as well as three crust types, and a capacity of up to 2 lb, which is big enough to make a large loaf that will keep a family happy. It also has a delay function and loads of recipes to make experimental bread for you and yours. For an affordable machine this does not skimp on features and you certainly get an awful lot of bang for your buck. The mid range of Breadman machines are at around the $100 mark, which is still a good price for a quality bread maker. This is an example of their standard machine. With a brilliant 16 features, three sizes and as you would expect all of the features of the 520 model, this is a more elaborate version with a nice LCD display for the easiest baking experience possible. As well as all of that, this model comes with an incredible 300+ recipes that are pre-programmed, so you’ll never get bored of your bread, and it won’t be difficult to get variation into your diet. Also comes with a fruit, nut and herb dispenser for all those added extras. The top end range of Breadman machines still represent value for money, though they don’t break the bank compared to some other manufacturers. As you can see, this is a really excellent machine with a huge amount of features – the total bread machine! Breadman aren’t the oldest company in the bread machine game, but they certainly are among the best, offering exceptional value for money in both their value models and luxury. Excellently reviewed, with a great customer service and guarantees on their machines, you can’t go wrong with a Breadman bread machine. Almost every regular kitchen user decides at some point in their life that they are going to invest in a bread machine, and it is hardly a surprise, they’re a great way to eat healthy, fresh bread in your own home, give us an excuse to experiment with our bread and they can even save us money every week off our supermarket bills. Some of the machines on the market are very expensive, and not everybody is in the market to spend this much, so we’ve created a summary of the best cheap bread machine models to help you make your choice of which to buy without having it cost you the earth. What Do You Sacrifice By Buying a Cheap Bread Machine? If all of that sounds to you like added luxury, and you’re not overly worried about having these features, then the machines below could be for you. Having talked about many of the features you might miss out on, this amazingly good value for money Oster model might just serve to prove me wrong, it has an LCD screen so you can keep tabs on what you’re doing, 9 baking modes and an ‘express bake’ mode for bread in next to no time. It also has up to a 2 lb capacity which is enough to keep a large family happy! The only thing that you might sacrifice is room for experimentation, but if you’re looking for bread, bread and more bread then this machine definitely gets my recommendation at a truly unbelievable price considering its abilities. This West Bend Breadmaker also packs in with a capacity of 2 lbs which means plenty of bread from one bake. 12 modes of bread to keep things interesting and also a delay start for fresh bread whenever you choose. Reviews of this bread machine show you that it is immensely easy to use and easy to clean with a non stick pan and user friendly interface. Usually available for around $50, this is a great family bread machine with very little risk attached to the price! These are some of the cheapest models of bread machine you’re likely to find, it is almost impossible to find a new bread machine for under $50, but these come mighty close to breaking the mark and you still get a very very good loaf for the money, remember, they can save you a lot of money on supermarket or bakery bread, so they may even pay for themselves in the long run!